Delivery from £10.00 to United Kingdom in 6 - 13 working days. 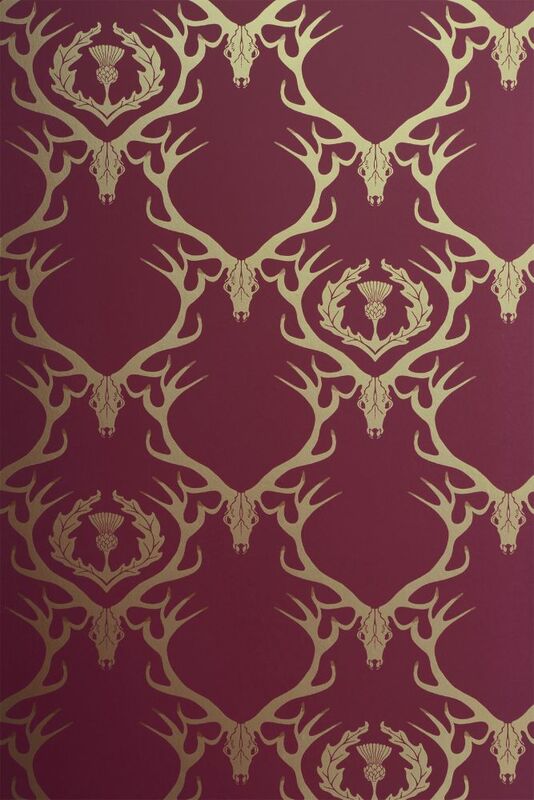 Stag skulls and thistle in a damask-style repeat. They incorporate subtle metallic finishes and often a wry touch of humour, so you need to look twice.